Harison Long-Randall, known as "Elden" in the furry fandom, passed away at 3.02am this morning from complications from injuries sustained in a hit-and-run on July 16, according to family. Eyewitnesses said he heroically put himself in front of his girlfriend, Gemily (known as "Wolfgem" in the fandom) to shield her from the oncoming car. 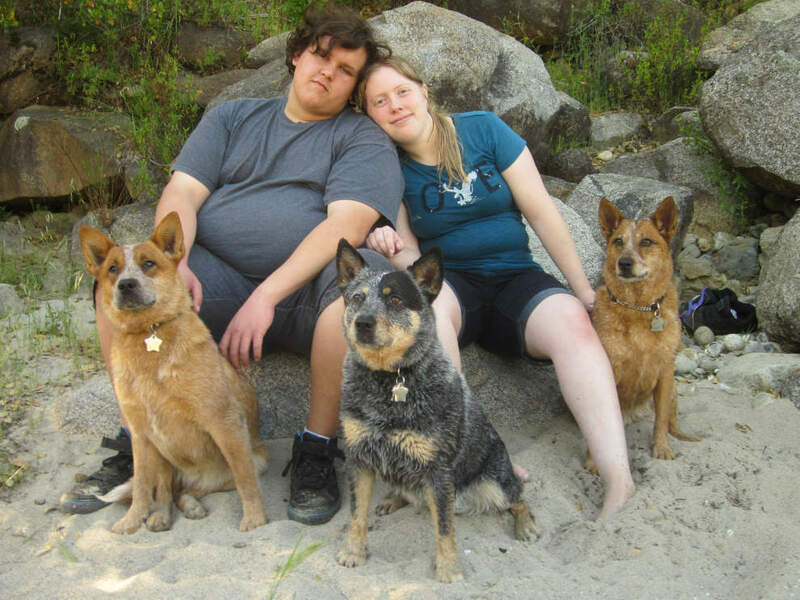 Their four Australian Cattle Dogs were also killed in the crash. Long-Randall, 21, was a college student at American River College studying improv, an avid fursuiter and cosplayer, and was loved by many both in the fandom as well as out. His last day in the hospital, Harrison said he remained puzzled that he was being called a hero. "He said he had just done what he had been taught to do," his father said. Donations for help with Harison and Geminy's medical bills are still being accepted through a fund set up by the Sacramento Bee, and more information on donating can be found here at the bottom of the article. I'm sorry to read this. He didn't deserve it. Rest in peace. For readers who don't click thru to related articles, this article says it may lead to homicide charges and this one says manslaughter. Either way, a deservedly long period of imprisonment awaits. It looks like a trial date of July 17 has been set for Paul Walden, the driver of the vehicle. Apparently saying he was tired and just trying to get high wasn't good enough - he was found guilty of murder, gross vehicular manslaughter, hit and run, and of driving under the influence of drugs, and sentenced to 25 years to life back in 2014.